Good morning all, I have a card to share today! This is one I made for my MIL's Birthday. She's chicken mad & has a little chicken run in her back garden. with them too! I have to say the eggs are delicious! We're off out to lunch with her today, to celebrate her Birthday! I added a little punched boder & a piece of ribbon detail! Thats so cute, shes going to love it. Loving your card Dawn, just started following your blog too ! A super card Dawn my dad loved his chookies too...great image used. fabulous card Dawn love the text its great. What a great birthday card! Love the vintage image, your colors, the sentiment.... well I guess I love everything about it :-). I'm sure your mother in law will love it too. 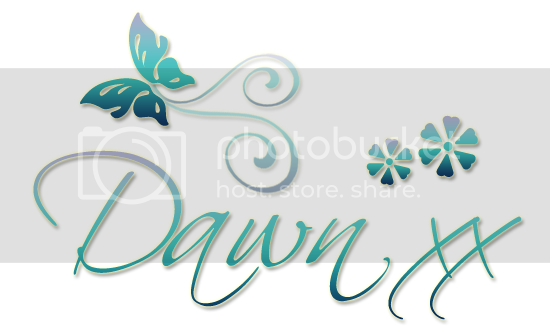 Dawn, what a fun take on the cue word this week! Yes, chickens do run -- and I'm sure your MIL will love this card. I love the monochromatic color scheme and the pretty accents on the side! Thanks for joiningus at CASology! Thanks for playing in our "For the Birds" Challenge #96! This is a fabulous card Dawn, I love the chicken image and your pretty border. We have chickens and they have absolutely ruined my garden, but you're right the eggs are delicious. Great card Dawn. Love the design and the sentiment is just perfect. Oh i like this card. Great image and sentiment. What a fun chicken, look at him run! Thank you so much for sharing with us at CASology!! Fun take on the cue word, and I like your chicken card a lot. Thanks so much for playing along at CASology this week. Dawn I'm a chicken fan too, thanks for link to this image, super card! This is perfect for our current challenge “For The Birds” at Pattie’s Creations. What a nice image too! Thanks for joining us! I'm sorry this comment is so late, but I was on holiday in Spain last week and wifi was a little limited and slow! This is great fun.... I love chickens!